Create the Megan Draper or Joan Holloway look from Mad Men with this archive 1960s makeup film tutorial. 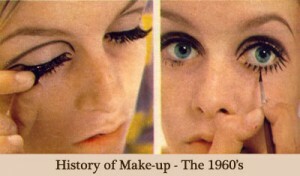 For more 1960s makeup looks – see The History of makeup -1960s. 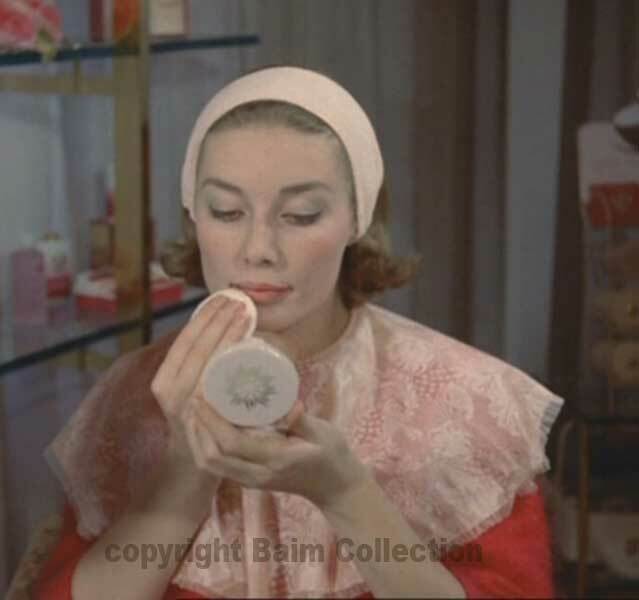 Thanks to the Baim Collection for allowing us to create this popular 1960’s Makeup Tutorial video from their wonderful archive. Filmed in 1961 it displays the styles prevalent proper to the more simplistic gamine look of the later decade. 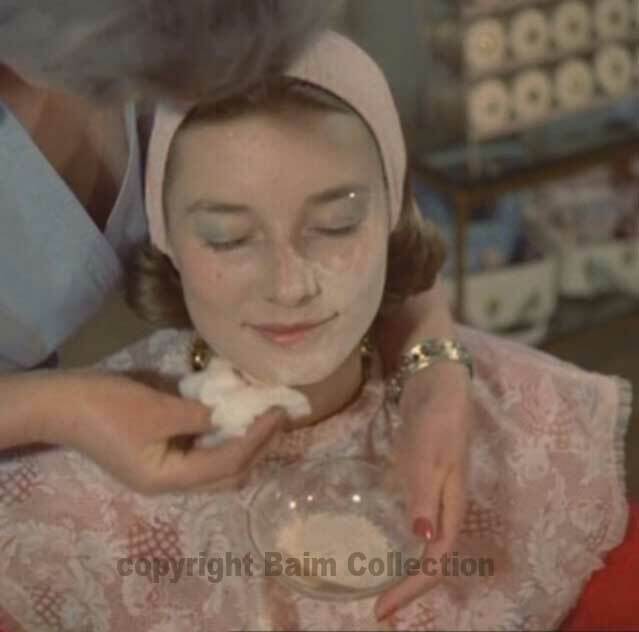 The tips are a slide over from the 1950’s, so any 1950’s makeup guide would give you all the tricks you need to perfect the look. Here we’ve transcribed the video with optimized images. Firstly – remove the makeup you have on. Use a cleanser and sponge, which also helps tone your skin. Rouge must be applied also in three dots. The proper method of application is to dab it on in spots close to the cheek bone and high up near the eye zone. If you smile you can see the natural lines of the face to blend the rouge in to. The 1960’s Makeup – eye shadow. Then there’s eyeshadow which you should stipple on, under the powder, close to the lashes and blend it up and out to the upper corner of the eye. Use powder lavishly. Leave it on for a few seconds and then smooth it off with a pad. 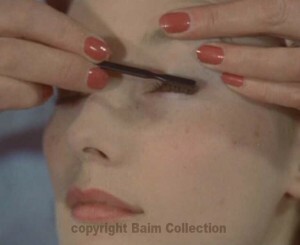 1960s makeup tutorial – Mascara. Brushing the eyebrows with a clean brush – shapes the brows and then comes the mascara. Apply in a couple of thin coats rather than one heavy coat. 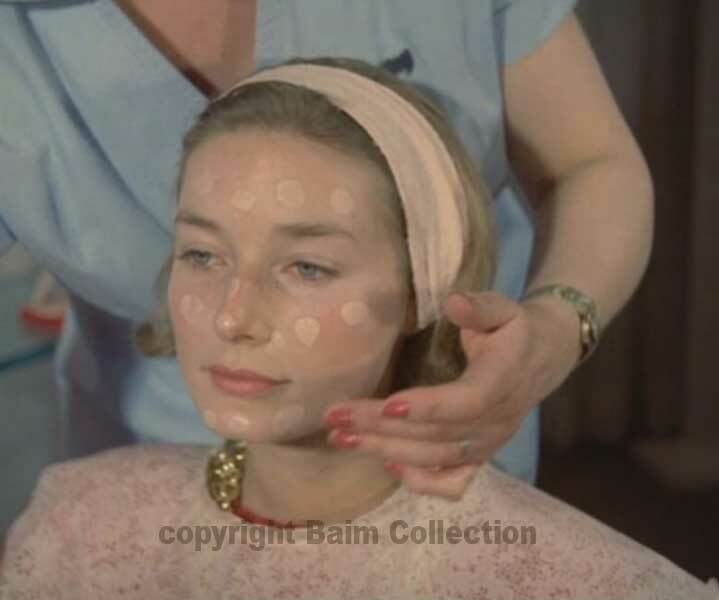 1960s makeup tutorial – Lips. For the lips, use a brush and wait at least five minutes before blotting. To finish off, a light dusting of powder using a compact and hey presto – the 1960s makeup look ! Images courtesy of Baim Archive. 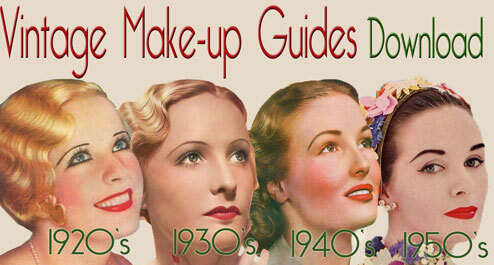 Download original in depth vintage makeup guides from the golden eras.